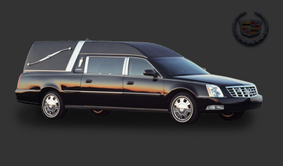 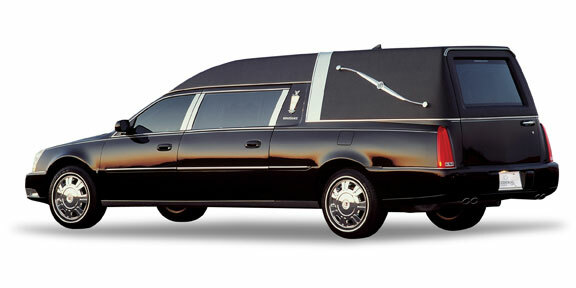 Limco inc - Funeral Limousine and Sedan Cars - New Vehicles Hearses Cadillac Renaissance. 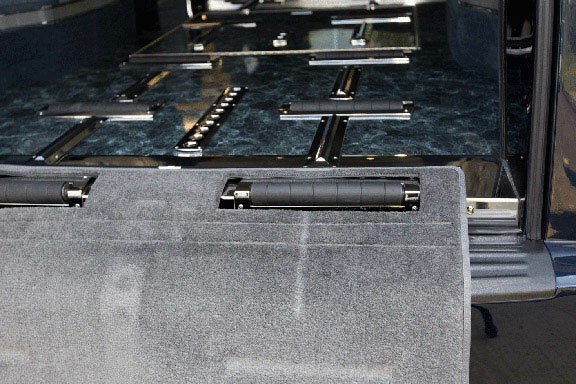 functional and stylish interior amenities. 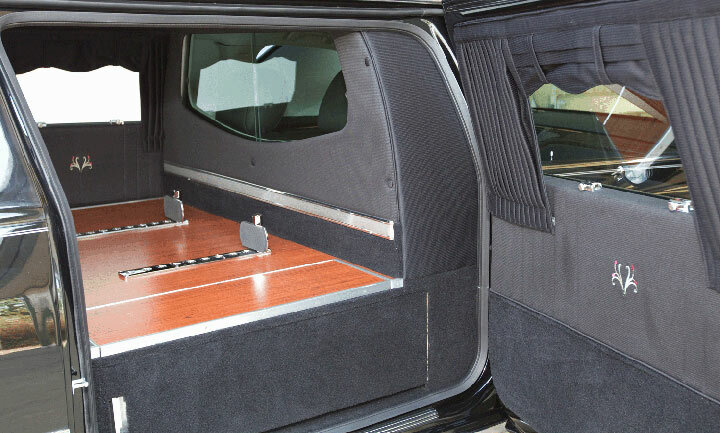 It features dual front bier pins for increased casket stability, along with an under floor church truck and under partition umbrella storage. 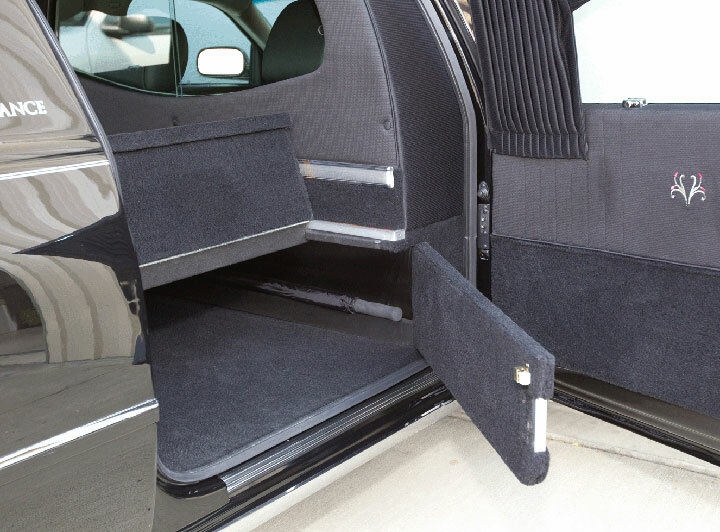 It also features 90 degree rollers, rear carpet bumper protector and a quick release adjustable bier pin. 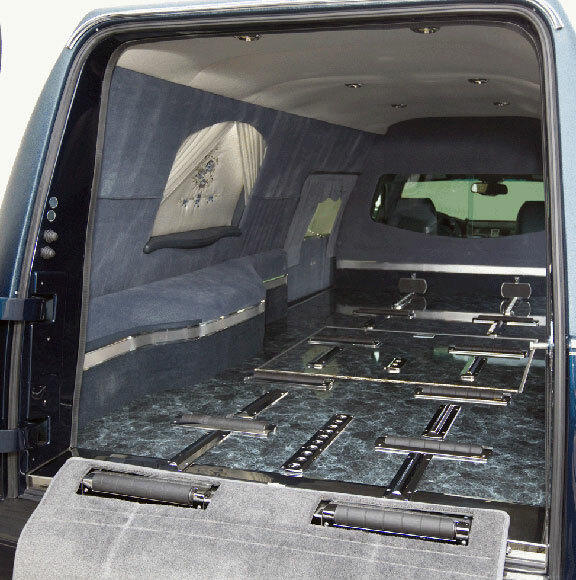 The front commercial styled headliner provides 4 inches of additional interior head room. 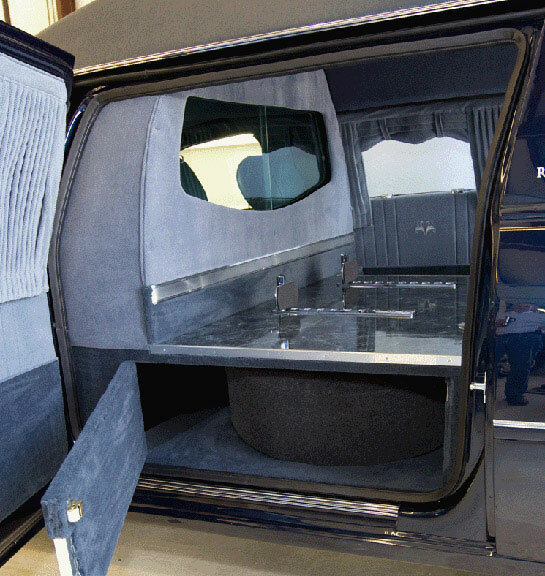 Features a 6 year/60000 Mile conversion warranty as standard.